A latex foam pillow is a great option if you want more support or firmness than a down (or down alternative) pillow can provide but aren’t sold on the feeling of memory foam. Latex pillows provide pressure relief but maintain their resilience and bounce, so you don’t have the feeling that you’re “sinking into’ your pillow at night. Not all latex foam pillows are created equal. There are natural, synthetic, and blended options and they can be made into various shapes and combinations, making it a good chance that there is a latex pillow out there to meet your sleep needs. We’ve done the testing and put together our list of the best latex pillows out there today. Each of these pillows is designed with comfort in mind and are made of unique materials that help them stand out above the rest. There’s also more information about how latex pillows are made so you can figure out which type is right for you. 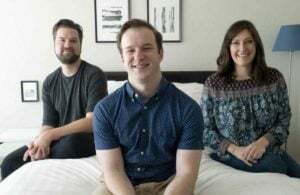 The Brooklyn Bedding #BestPillowEver is a solid piece of blended Talalay latex foam (ventilated to promote airflow) – it comes in Firm and Plush options and I reviewed the Plush. The #BestPillowEver behaves like a classic latex pillow – it’s lightweight and has a nice bounce and quick response to it that sets it apart from other fillings like down or memory foam (see more HERE). The cover is a soft knit and can be removed so that you can easily launder it. 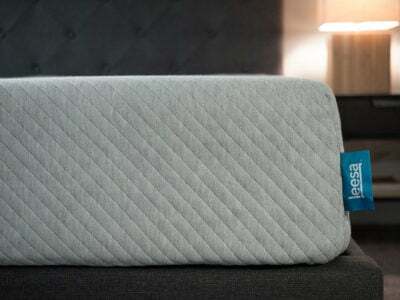 Overall the pillow slept cool thanks to the aerated foam and breathable fabric. While the Plush felt a little too soft for side sleepers, it is a nice option for those who like a pillow that contours to the head. Check out the complete Brooklyn Bedding #BestPillowEver pillow review, here. The Leesa pillow is a single and solid piece of Avena foam – a performance foam that has many of the characteristics of latex foam (learn more HERE). It is also the same material as the top layer of the Leesa mattress. It’s ventilated to promote airflow and breathes well. It is very quick to respond and has a bounce-like feel to it and won’t fall flat or lose its shape. Based on my experience with the pillow, I think the loft is a good fit or back or side sleepers. The removable cover is a grey soft knit that matches the Leesa mattress. It’s easy to care for. Overall, I like the durability and support of the Leesa pillow and its latex alternative filling. Read the full Leesa pillow review, here. Brentwood Home’s Helena pillow is an eco-friendly natural latex-blend pillow. The filling is actually a mix of 50 percent natural latex ribbons and 50 percent Kapok fibers (learn more on that HERE). This gives the pillow the support of a latex foam but with some of the cozy feeling of a down or down alternative. The cover is 100 percent organic cotton and you can remove it to launder it as well. 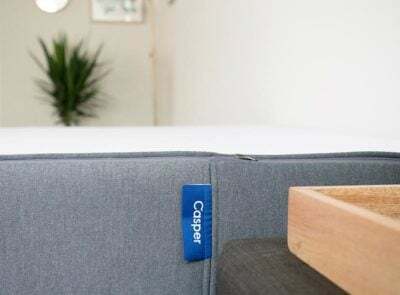 The whole pillow is adjustable, which means you can add and remove as much of the filling as you like – making it a good fit for all sleep positions but probably best for stomach sleepers because the pillow isn’t overstuffed and super firm and still has a relatively low profile. Click here for our full review of the Brentwood Home Helena pillow. Latex foam, like the kind found in pillows or mattresses, can be made through a natural or a synthetic process (or sometimes a blend of the two). While they may differ in how they’re made, they are all considered 100% Latex. 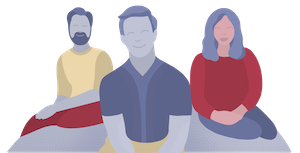 We’ve put together the details on the production process of each type below. 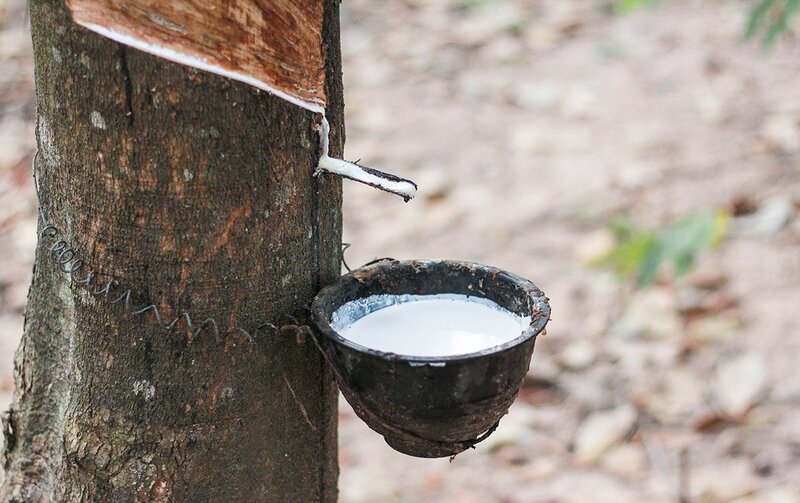 Natural Latex: Natural Latex is a milky sap that can be harvested from rubber trees (also known as Hevea brasiliensis). Much like how you collect maple syrup, harvesters will “tap” the tree. This means they will carefully cut a wedge in the bark of a tree and let the latex ooze out into a container. There are two different ways to process the natural latex into foam: the Dunlop method and the Talalay method. These processes can get a little science-heavy, and you can learn more about the details, here. We’ll try to keep it simple. Both involve washing the latex and removing any impurities or additives. In the Dunlop process, the foam is heated and sulfur is added to help form it into a foam block. The Talalay method is similar, except there is a freeze/vacuum step in the process before it’s turned into a block of foam (vulcanization). In the end, the foam made with the Dunlop method is denser and more stable, offering a more solid feel. 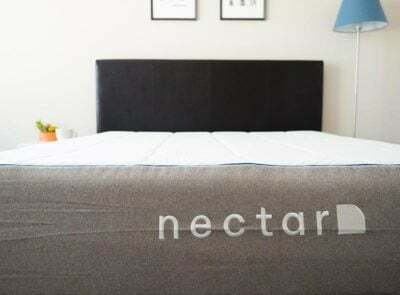 The Talalay latex foam is a softer grade latex that feels softer than it does springy. Synthetic Latex: Synthetic Latex is produced chemically. 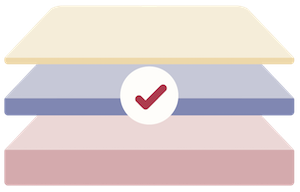 “Several types of synthetic latex exist but SBR (styrene-butadiene rubber) is the most common type of synthetic latex used in the production of synthetic latex foam,” says Sleep on Latex. Synthetic Latex also uses the Dunlop method or the Talalay method for production. Blended Latex: Some companies will use a combination of natural and synthetic latex to create their bedding product. For example, the Brooklyn Bedding #BestPillowEver is a blended Talalay latex pillow. Both Synthetic and Blended Latex pillows and bedding products tend to be cheaper to produce and usually cost less than Natural Latex products. 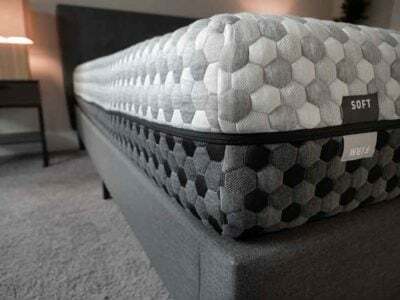 Whether it’s a solid piece of molded foam or natural latex ribbons, there are several different ways to utilize latex foam as a comfortable pillow. Those in the market for a latex foam pillow should look carefully at the type of foam and its manufacturing process to determine whether a natural or more synthetic pillow is right for you and your budget. Just like with any pillow, your sleep position should help determine the overall loft and support level you choose. Latex foam pillows come in different firmness levels like other pillows so you should be able to find the best one to keep your head, neck, and spine in neutral alignment.